This one’s going to be quick…and that pains me to say. I was in Hastings for work earlier this week and had enough extra time that I could sit down and actually eat a meal. I’m not super familiar with Hastings, so I just headed downtown to see what I could find. As soon as I get to the downtown area, something catches my eye. An old sign with a cartoon hamburger and the words “Ground Fresh Daily.” That sounds amazing. The sign next to that sign was the name of the restaurant. 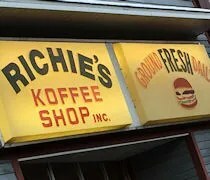 Richie’s Koffee Shop. It’s a throwback diner that really isn’t a throwback. It’s been there so long and hasn’t changed much over the years giving it the authentic retro style that is chic nowadays. From the street, it looks like a small, cozy café. Once inside, you’ll find a couple of large dining rooms and a breakfast counter that overlooks the traditional diner kitchen. I popped in around 4:00 on a Tuesday. The “early birds” were already filling the place up. There were two waitresses working the floor and neither said anything to me. Since I was alone, I grabbed a menu from the cash register and sat down at the breakfast counter. 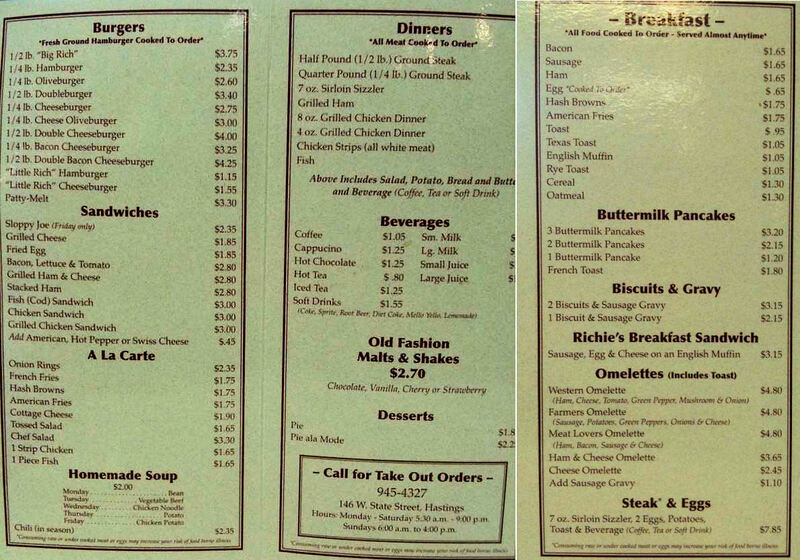 The menu looks pretty great and the food coming out all looked like that great small town greasy spoon diner. Sadly, I’ll never know. I sat at the counter for ten minutes, was passed by both waitresses both behind me and in front of me be counter. No one made eye contact. No one said anything. One of the waitresses even got a bowl of soup from the kitchen, literally, right in front of me. Wouldn’t make eye contact. Didn’t offer me a drink. Didn’t say, “Someone will be right with you.” Nothing. I understand servers get busy and there were quite a few people already in for dinner. That’s fine. That happens, but the lack of any form of acknowledgement from either waitress or even the cook was just ridiculous. After a little over 10 minutes, I decided it was time to find something else. That’s really too bad. 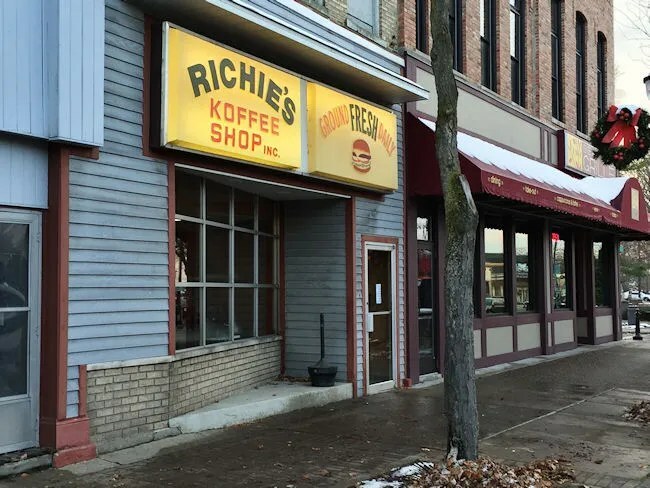 I was looking forward to Richie’s the moment I saw the sign from State Street. The place gets really good reviews from the locals and I liked what I saw coming out of the kitchen. I always like to write good things about the places we eat. There’s only a couple of blogs posts of well over 1000 restaurants that we’ve been to in the last 7 years where something like this has happened. Maybe it was a fluke. Maybe it I did something wrong. I don’t know. Just really disappointed I had to get up leave.